I will never have children. Saying that simple, honest statement, just to myself, was the first step to recovery. It seems simple now - inevitable even; after all, I had no choice but to say it. But I have seen those who can’t bring themselves to say it, even when there is no other choice; those who struggle against this simple truth, and keep themselves hurting, stuck in limbo. Saying it is painful, don't get me wrong. But saying it frees us from the what-ifs and the maybe-I-shoulds, and allows us to start looking forward. 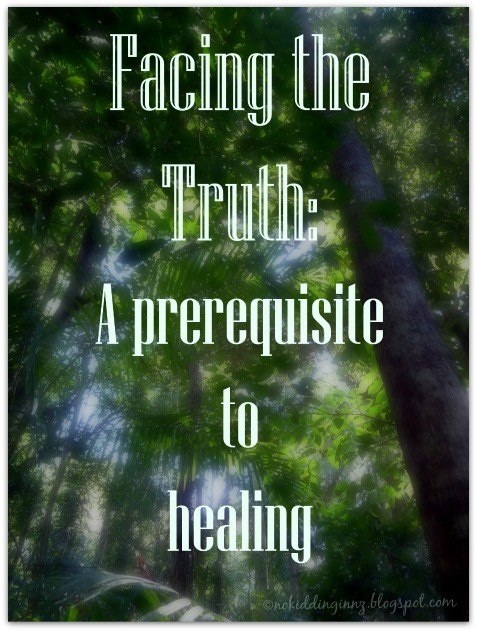 Saying it is a pre-requisite to healing. Thanks for sharing your thoughts ! I've been able to say it but when I do it upsets me and makes me angry. Accepting it is the most difficult part. Saying it IS hard, and it takes a while for the reality & the finality to sink in. (And Pamela makes an excellent point above about how others make it more difficult for us because they just don't want to hear it.) But the realization can also be liberating, in a way, because it clears the way to start thinking about what else you can do with your life. Good point, Mali! I guess hearing the words come out of my mouth makes it more real (if that makes any sense at all). When I do say something it usually comes out "kids just didn't work out for us" which I suppose is saying the same thing but saying it that way feels more natural to me. YESSSS. Agree totally. It's not something one would readily say, that's for sure. After all, there's a huge pressure from the outside for "not giving up". Oh yes to this. I think in all situations, leaving yourself in limbo keeps you in a space you don't truly want to be. Absolutely. 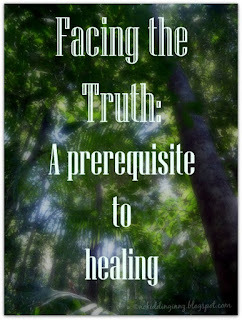 Even though others are trying to help, it's limbo that blocks healing. I think a big part of this is also acknowledging that clinging to hope (in this instance) can be a very bad thing. Not facing up to the reality meant holding on to the hope that something would eventually work, and I was just continuing to ride the infertile merry-go-round over and over again. Years of my life gone with so many things left undone or never tried, because of all the things I couldn't/shouldn't do "just in case" I might get pregnant that month, this quarter, that year. I hated myself, everyone around me, and reached a depth of depression I never thought I was capable of. Facing the fact (that I needed to let go of the hope that was keeping me trapped, and I needed to admit that I would never have a child) was one of the hardest things I've ever done. I can't say I'll ever be truly healed, but where I am now is definitely better than where I was. I love this, so much. Saying something often makes it real, which is hard, but necessary for moving towards what can be after acceptance. I found this to be true for me with pregnancy. Saying "I will never be pregnant" was hard, but then realizing that not holding on to that piece of things and moving towards a different reality was what freed me to pursue a different avenue that held more hope. I can say it now. It's still hard, but I can do it. I think you are 100% right. It's important to be able to say these things. It goes into that whole "owning it". It makes it more real. It makes acknowledge our losses and really accept them. I think it also gives us space to grieve and forgive ourselves.